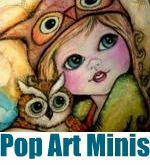 Pop Art Minis: G is for GLITTER . 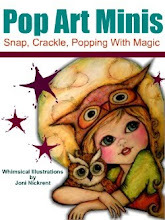 . . Creative Holiday Crafting Fun that Sparkles with Glee! G is for GLITTER . 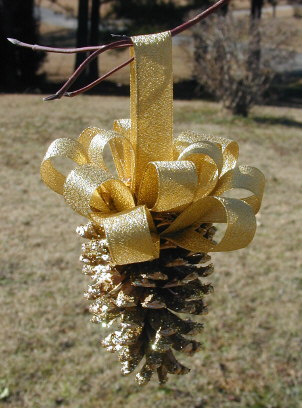 . . Creative Holiday Crafting Fun that Sparkles with Glee! Ok, I'll admit it . . . I LOVE GLITTER! The sparkle, the shimmer, the shine! It makes everything that much more magical and I say if something looks like it needs a little something extra it probably means it needs GLITTER! So here's my fun finds that have just might add that little extra sparkle to your holiday decorating this season! 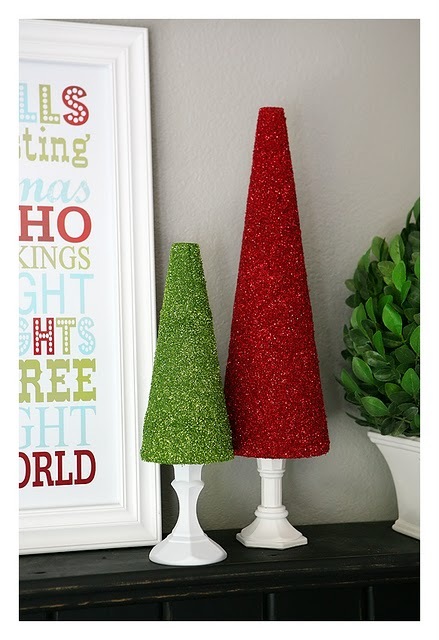 Glitter Trees . . . oh, so shiny and bright! Get ready for a little holiday shimmer and shine with this simple Christmas craft idea you can make with dollar store finds...My fave and I know several other bees in The Hive love the bargains and fun finds from The dollar stores! 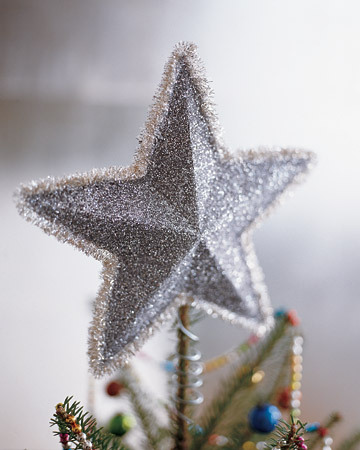 Get ready to sparkle, shimmer and shine with these Glitter trees! Complete project instructions over at I Heart Naptime a creative blog that has a lot of offer! 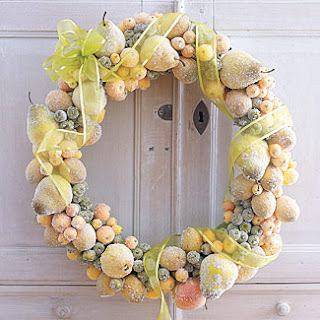 A fun fresh way to dress of your mantel or door this holiday season! Artificial fruit becomes a glittery sweet treat with crystal glitter coating. Check out the how to details here! She sells sparkly seashells down by the seashore . . .
Seashells and starfish covered with the sparkly pink and white stuff make for a magical coastal collection of fun! Check out the how to over at Completely Coastal! Miss Mustard Seed's creative blog features a "glass letter workshop". I love fonts and this is one idea that I just couldn't pass by! For sure a "to do" on my holiday decorating list this season! LOVE it! Ornaments in Nature with a touch of Glitter! Even found objects in nature can become a glittery, glistening piece of art with a little shake of some gold or silver glitter! Add a festive ribbon and you've got yourself some magic! For the complete how to check out Living A Better Life's blog! I will definitely be adding a little glitter to my holiday decorating this year . . . how about you! Will glitter make your holidays sparkle and shine just a little bit brighter?